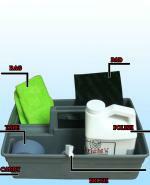 Cleans and polishes all metals including: silver,gold,brass,copper,pewter,glass,steel,aluminum and chromium. 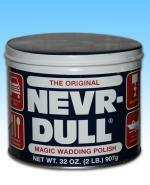 Removes rust and corrosion instantly. 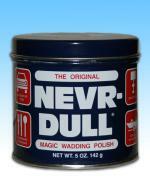 NEVR-DULL removes rust and tar from automobile and motocycle chrome. Leaves no deposits in the crevices of metal work. 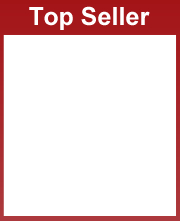 Excellent for janitorial maintenance, antiques, boats, airplanes, mag and chrome wheels, workshop tools, fishing gear, sinks, showers and campers. Tear off a small portion of wadding and rub the surface until all dirt is removed. Finish the surface by buffing with a soft, dry cloth until a brilliant lustre appears. 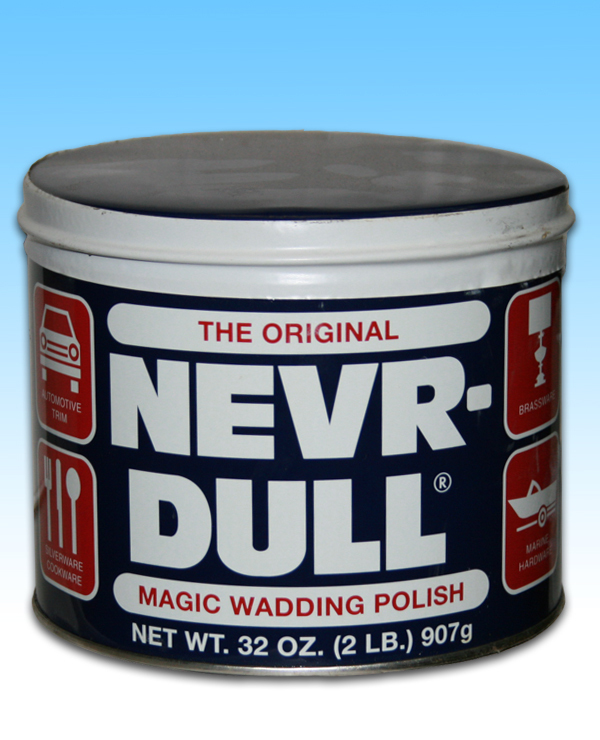 DO NOT use NEVR-DULL on lacquered surfaces. Wash food utensils with soap and water after using product. Replace lid after use. 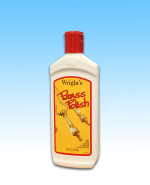 Our strong brass cleaners will shine your brass in seconds! 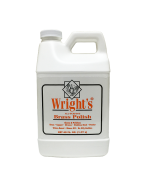 From brass knobs, silver, or statues, it's easy to use and to clean.